such as the Odrysian kingdom of Thrace and the Dacian kingdom of Burebista. the Persians conquered Thrace and made it part of their satrapy Skudra. Thracians were forced to join the invasions of European Scythia and Greece. According to Herodotus, the Bithynian Thracians also had to contribute a large contingent to Xerxes' invasion of Greece in 480 BC. which were known as peltasts. They were regarded by other peoples as warlike, ferocious, and bloodthirsty. 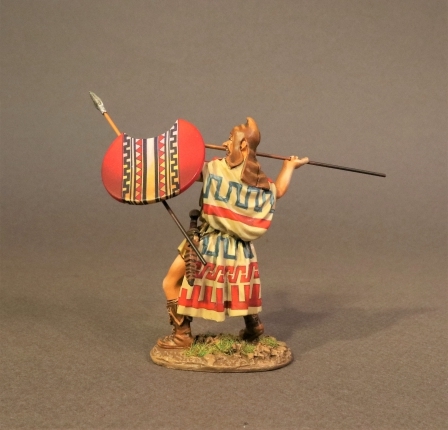 was a type of soldier of the ancient period, which probably originated in Thrace. Thracian peltasts were to have a notable influence in Ancient Greece. A Thracian Peltast carried a crescent-shapedÂ wicker shield and was armed with several javelins (akontia). peltasts used by Greek armies were recruited from the Greek cities of the Thracian coast. which includes the distinctive Phrygian cap made of fox-skin, with ear flaps. which was decorated with a bright, geometric, pattern. in particular during the Peloponnesian War. 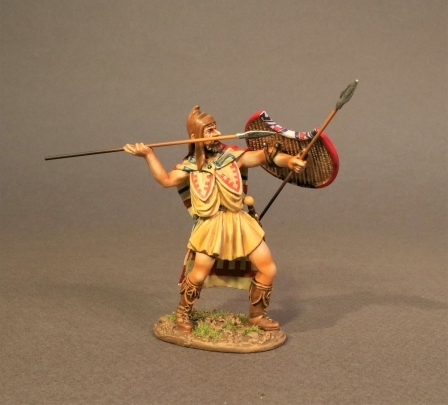 They became the main type of Greek mercenary infantry in the 4th century BC. hoplites and would have been more readily available to poorer members of society. peltasts operated by throwing javelins at short range. If the hoplites charged, the peltasts would retreat. they were usually able to evade successfully, especially in difficult terrain. if possible, taking advantage of any disorder created in the hoplites' ranks. in the Battle of Lechaeum in 390 BC, using mostly Thracian peltasts. the Bithynian Thracians also had to contribute a large contingent to Xerxes' invasion of Greece in 480 BC. the Odrysian kingdom extinct for several years. it was a vassal state of Macedon for several decades under generals such as Lysimachus of the Diadochi.